One in four Americans over the age of 65 falls every year. In fact, falls are the leading cause of fatal injuries among senior citizens in the United States. As a concerned child or grandchild, you want to do everything you can to protect your loved ones. At some point, you may consider installing a stair lift in their home to ease the burden of climbing the stairs. After all, it’s the safest alternative which preserves their independence – and gives you peace of mind. But like so many others, you may hesitate to install a lift because of the high expense. Protecting your aging loved ones from falling down the stairs shouldn’t come at a cost. That’s why we’re here to tell you about 4 ways you can alleviate the costs of a lift! 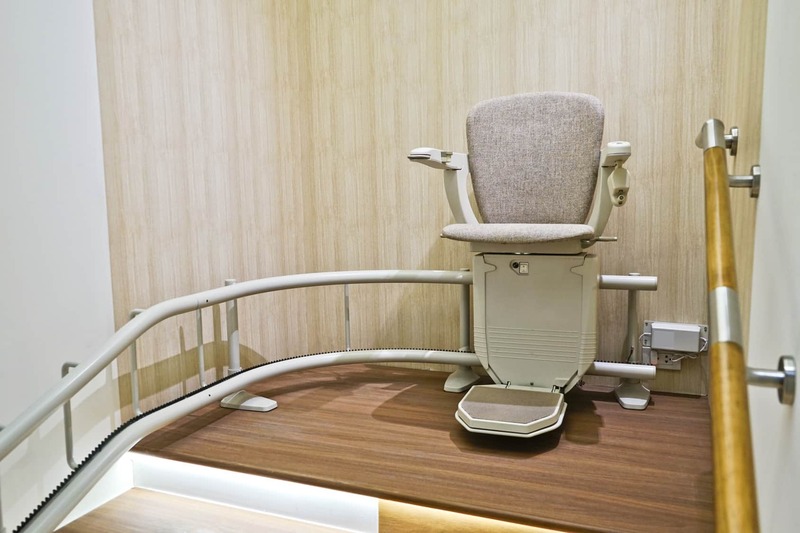 Believe it or not, there are some private health insurance companies that cover the costs of a stair lift. Some private insurance companies in Tennessee may offer to pay for the entire chair. Others may only offer partial coverage or don’t cover installation costs. Not all private insurance companies cover the costs, and policies vary. Call your family member’s insurance company to find out if they qualify for coverage. You may be able to save some money by doing this. Unfortunately, Medicare doesn’t cover the costs of a stair lift. But there is coverage under certain Medicaid policies. Medicaid policies vary state by state. In certain states, Medicaid covers lift costs for the elderly who still live in their homes. Most of these Medicaid policies provide coverage through a waiver program. Some of them cover lifts or home modifications to assist those who qualify. Is your family member a veteran and in need of a stair lift? If so, it’s likely they’ll be able to get coverage for one under VA Aid and Attendance. The Veteran’s Administration (VA) covers the cost of lifts in a few ways. They cover those in need of a lift as a result of their military service. This is most likely covered under their VA health insurance plan. The VA also provides funding for those who weren’t injured during their service. Under the VA Aid and Attendance Benefit, veterans can receive funding for their mobility needs. Additionally, there are grants that veterans qualify for. They can receive funding from an SHA (Special Home Adaptation) grant, a HISA (Home Improvements & Structural Alterations) grant, and more. Is your family member the spouse of a veteran? They may also qualify for coverage! Though eligibility varies, it’s still possible that your family member qualifies for a state-funded benefits program. These are non-Medicare and non-Medicaid programs that vary state by state. In Tennessee, some senior citizens medically qualify for home modification coverage. This depends on a number of factors, including age, residency, functional ability, and income. If they do qualify, they may be eligible to receive benefits and services, including home modifications, assistive technology, and more. It’s hard enough watching your parent or grandparent get older. But it’s especially hard trying to fund their modes of safer mobility. You shouldn’t have to worry about how to protect your aging loved ones. Nor should they have to put themselves at risk of injury or death. Access & Mobility offers Tennessee’s finest selection of residential elevators and lifts. We’re here to take care of your mobility needs. Contact us today!